Whether for transporting soft toys or bricks: the Grand Chariot Wagon is made of solid metal, stays quiet and still offers an easy steering. The perfect companion for children and their adventures. The wheels consist of rubber and take care of reducing the level of noises to a minimum which enables children to use their Wagon also inside their homes. And whenever the little ones get tired, the wagon can also function as a mobile bed in which they can rest on their way home. 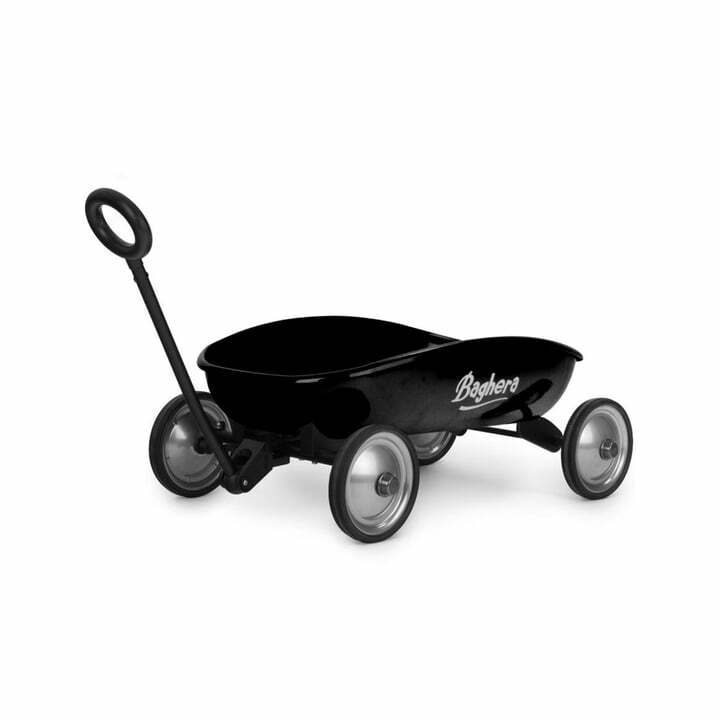 In case the wagon is not needed, the handle can easily be folded up underneath the wagon. This way the wagon can be stored easily and space-saving. Single image of the Grand Chariot Wagon by Baghera in black. A small transport wagon with silent wheels for children, soft toys, bricks and further toys or items.